7.Chinese and english operation interface. 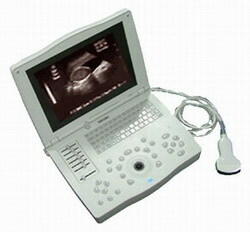 Obstetric calculation: BPD, FL, CRL, GS, HC, AD AC, and display fetus age, fetus weight, expected birth date, heart rate, slope ratio, period. Measurement: Distance, Circumference, area, heart rate, EDD, etc. Display: Date, Time, Name, gender, Age, Hospital, Obstetric list, annotation, edit menu, etc.